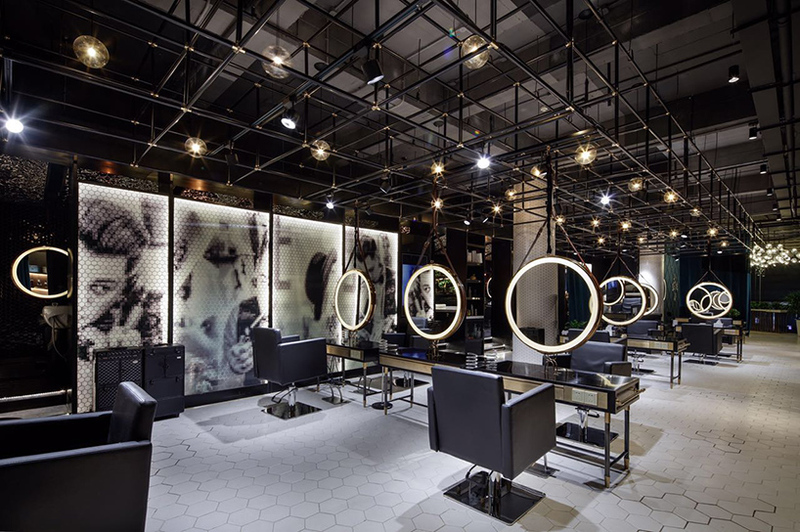 hexagonal black and white mosaics, stainless steel plate walls, and large circular mirrors are the defining features that characterise the stylish barber shop located in wuxi, china. 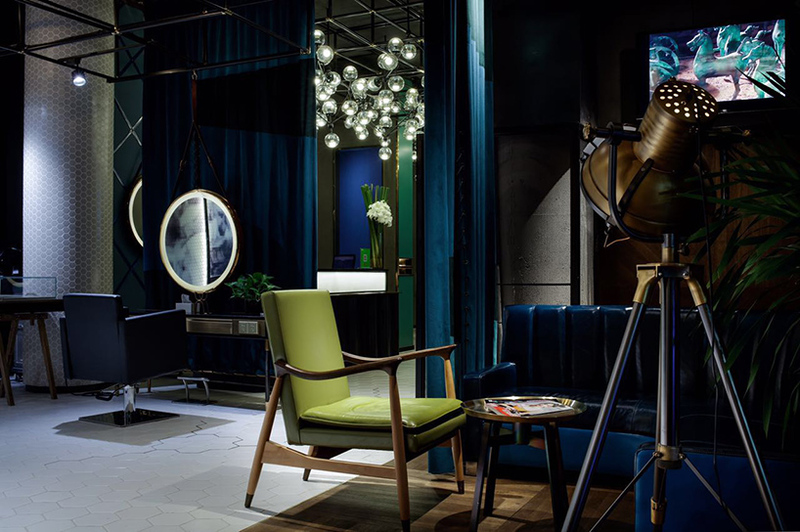 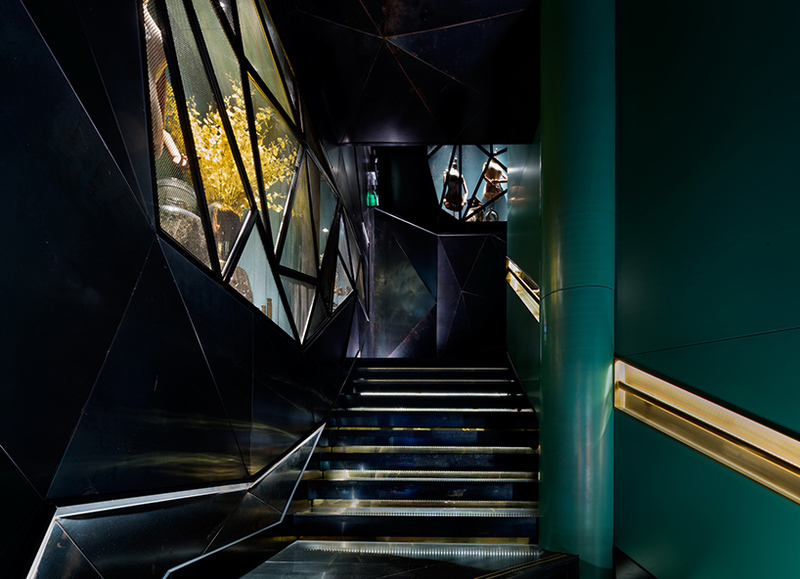 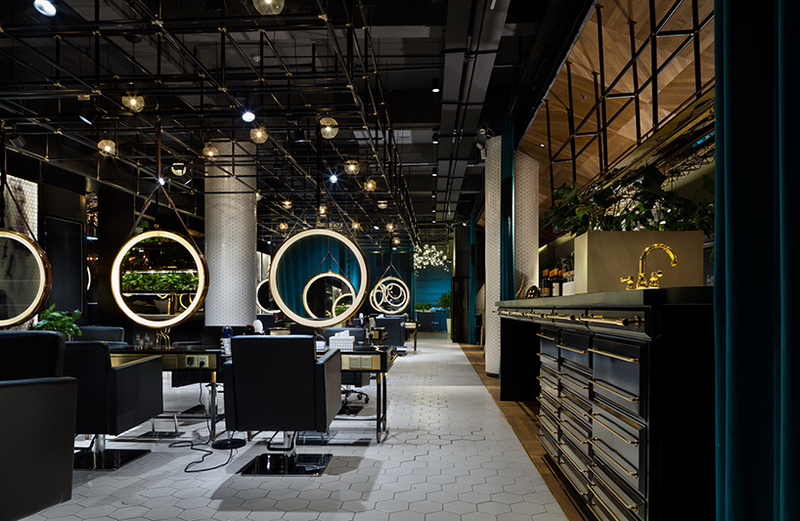 the salon which was created by S5 design, lead by architect liming sun, uses a palette of luxurious dark textures and colors which form a moody punk edge interior. 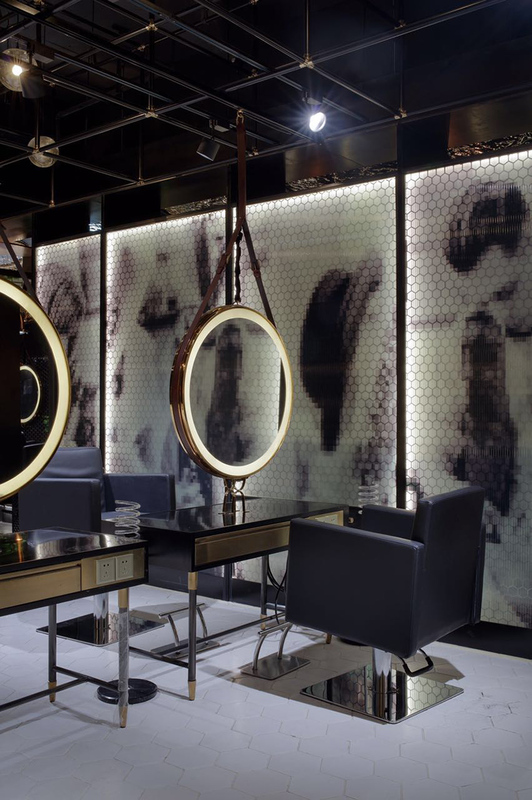 the clean and simple space is divided into various sections through different tiles and patterns. 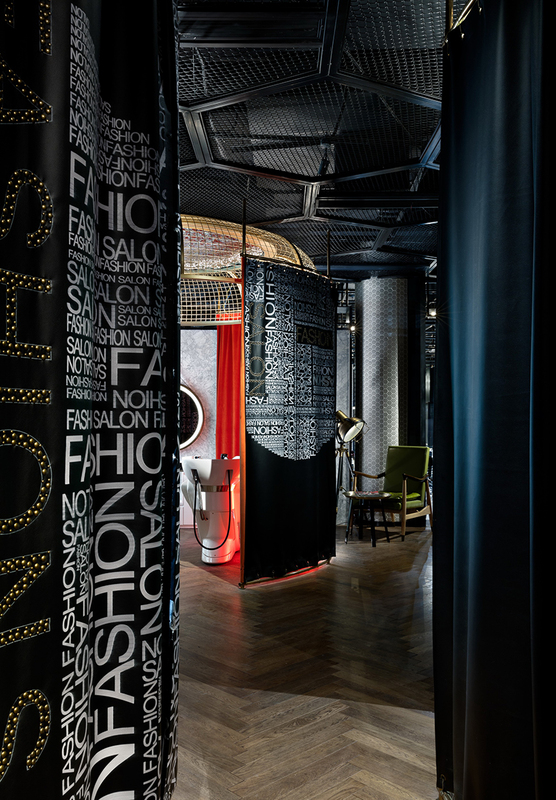 the bright cutting area and rinsing zone are separated by a metal divider which uses hexagonal outlines engraved within its surface. 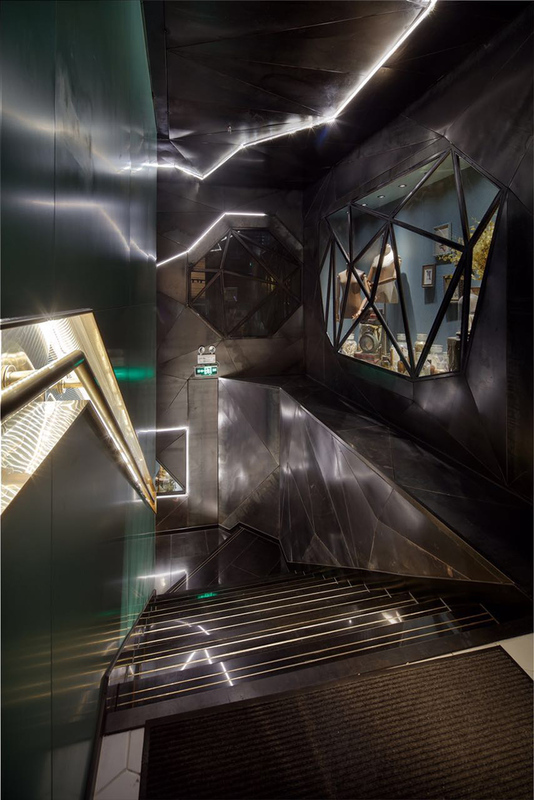 the entrance to the shop uses jarred abstract walls, glass protruding windows and irregular shapes which point towards the basement level of the building. 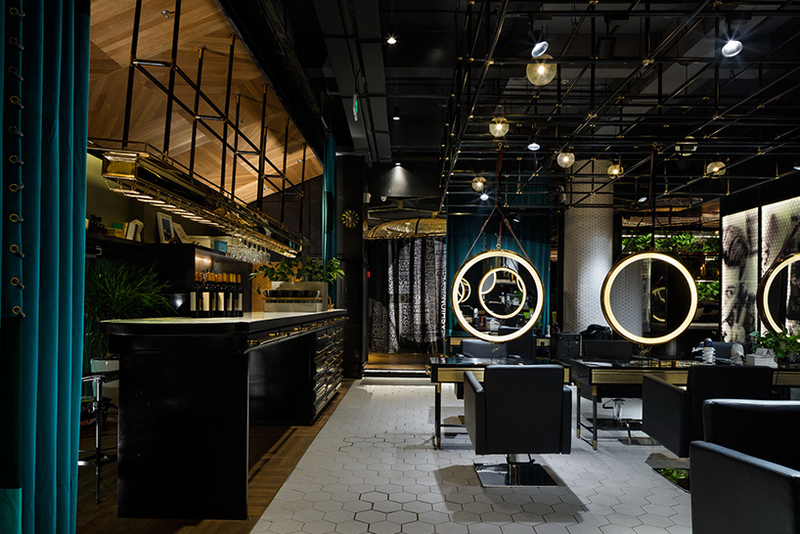 the main room features rows of tables which all contain a comfortable cube shaped chair and large hanging circular mirror. the reflective surfaces establish a sleek ambiance, which compliments the use of graphic fabric dividers and retro photomontages. 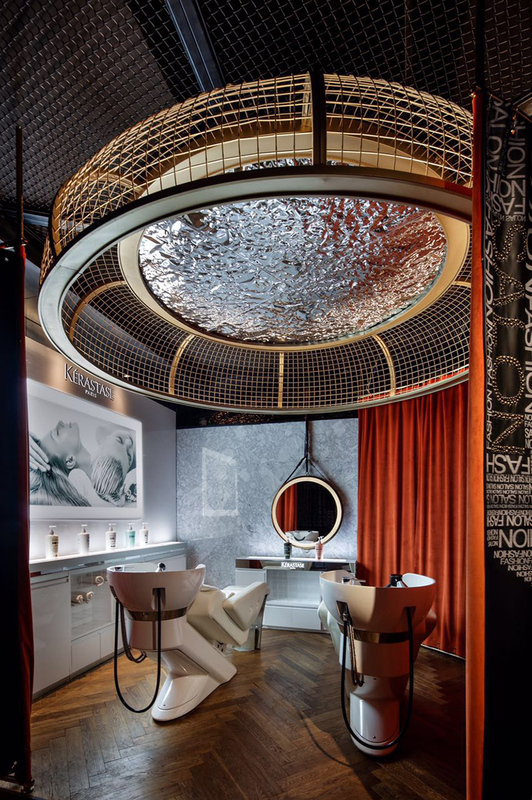 an overhanging structure acts as the architectural framework of the space, holding all of the elements together including the chandeliers. 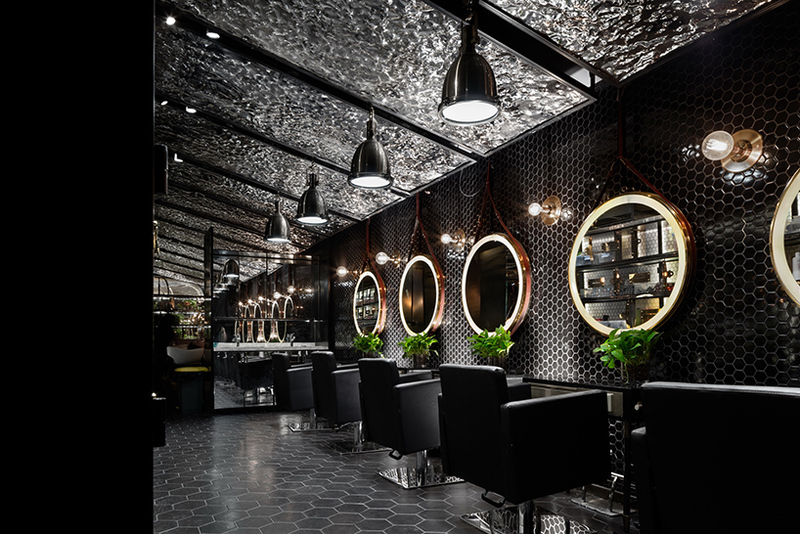 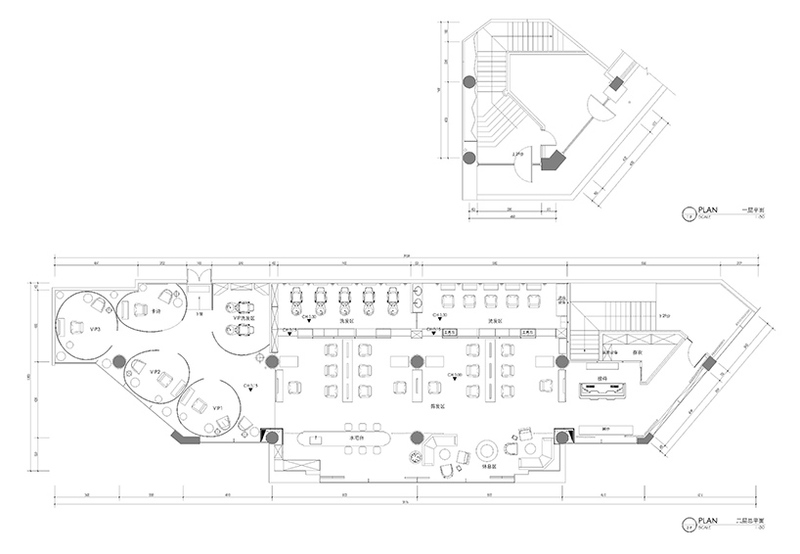 the interior aims to cater towards the customers needs by creating an overwhelming visual experience through a decadent display of grunge inspired glamour.